Why let your homes unique assets fade into the night time darkness? 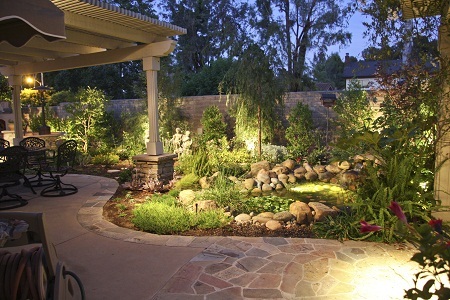 Landscape lighting is more than just light fixtures placed in your flower beds. It is an artful design and placement that creates a dramatic look and feel to your property. 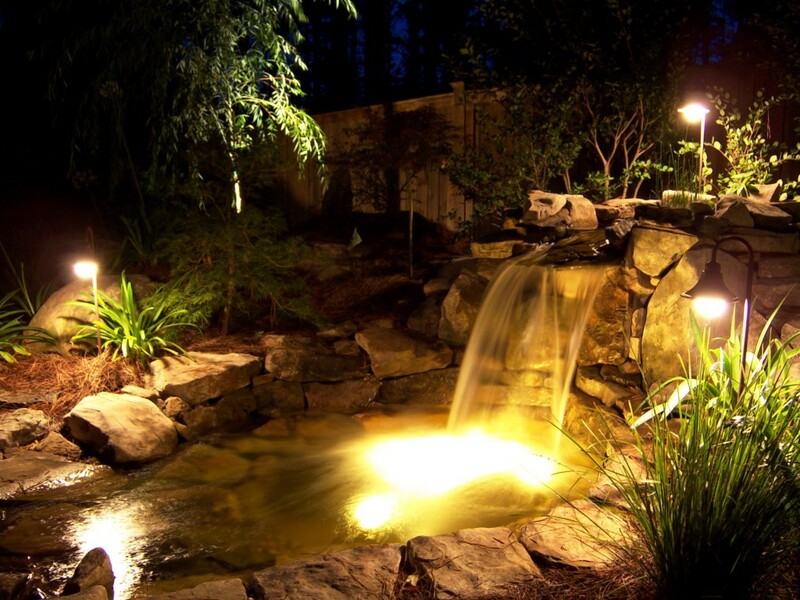 The addition of Landscape lighting into your landscape design offers a number of benefits. 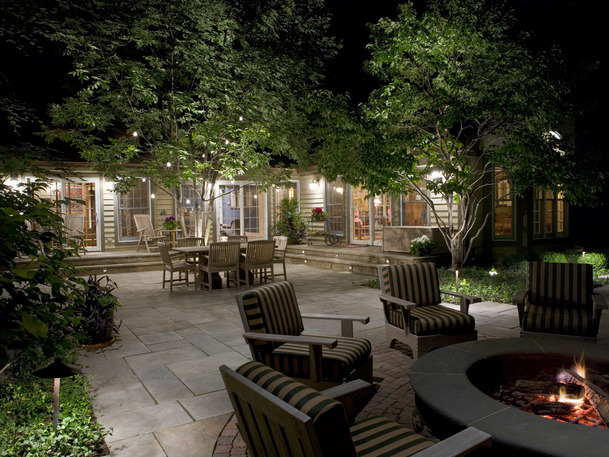 Installing landscape lighting strategically around your home will illuminate dark corners and shadowed areas. This increases security around your property. 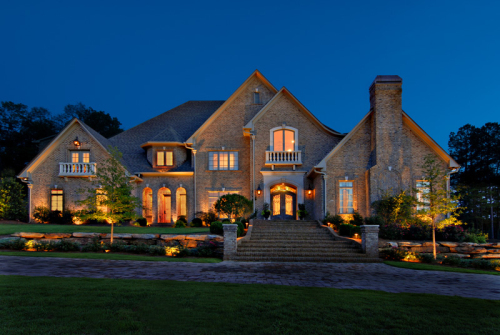 Lighting can be used to highlight certain architectural features of your home or other elements in your landscaping. 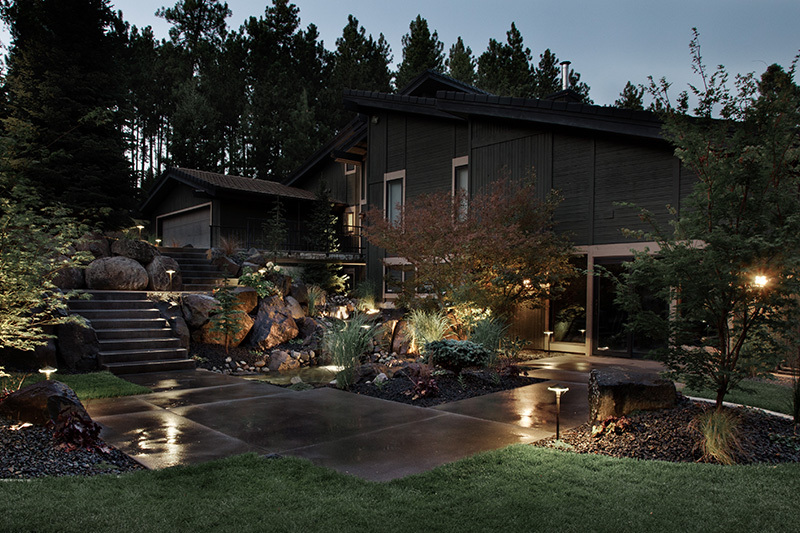 Incorporating landscape lighting throughout your landscaping will add drama and enhance the look of your landscaping in the evening hours. 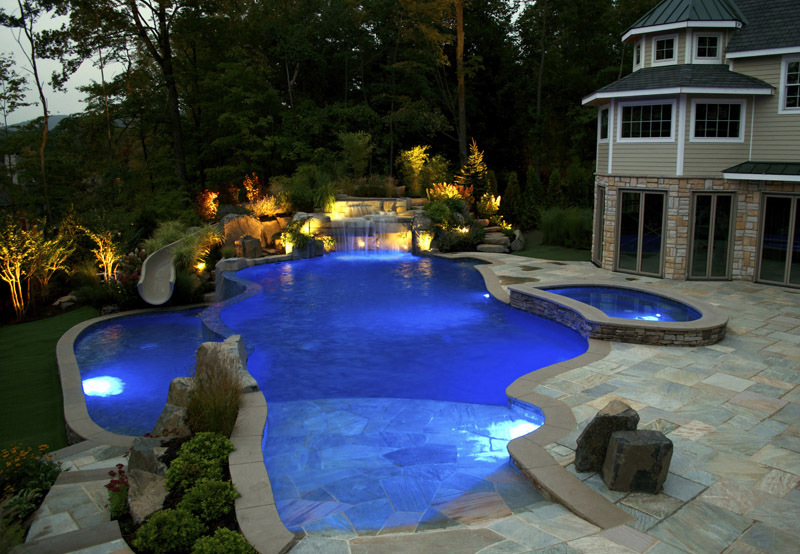 Adding lighting around a patio, pool, hot tub, deck or outdoor kitchen will illuminate the space and allow you to use your outdoor spaces into the evening hours. Poorly lit walkways, patios, and decks can be dangerous for you and your guests. Adding landscape lighting that will illuminate walkways and other commonly traveled areas will help to prevent injuries and accidents.